If you're after a casual yet incredibly chic look, wear a black cropped sweater and a white and black vertical striped midi skirt. As well as super comfortable, these pieces look stunning when paired together. You could perhaps get a little creative in the shoe department and elevate your look with red suede pumps. Opt for a charcoal knit skater dress for a Sunday lunch with friends. Bring instant glamour to your getup with Linea Paolo Pia Pump. Rock a red lace midi dress to effortlessly deal with whatever this day throws at you. Complement this outfit with Linea Paolo red suede pumps. Rock a purple off shoulder dress for a lazy Sunday brunch. Lift up your outfit with Linea Paolo Pia Pump from Nordstrom. If you're on a mission for a casual yet stylish outfit, dress in a white button down blouse and beige culottes. As well as super comfortable, these pieces look great together. You could perhaps get a little creative when it comes to footwear and elevate your getup with red suede pumps. Marry a pink fur jacket with black dress pants and you'll be the picture of elegance. Complete this outfit with Linea Paolo Pia Pump from Nordstrom. If you're in search of a casual yet seriously chic getup, team a beige v-neck sweater with navy skinny pants. Both of these items are very comfortable and look incredible together. 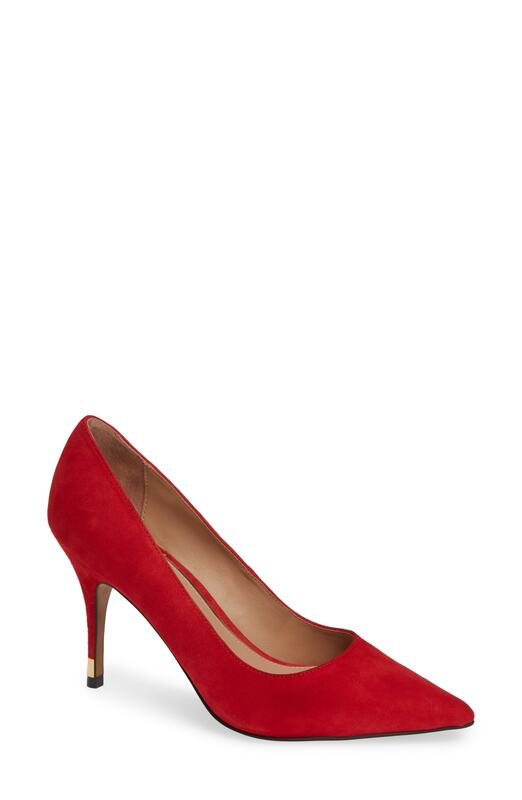 To add oomph to your getup, round off with Linea Paolo red suede pumps. If you're searching for a casual yet totaly chic outfit, try pairing a black and white horizontal striped long sleeve t-shirt with a yellow pencil skirt. As well as totally comfy, both of these pieces look great when worn together. When it comes to footwear, this look is finished off nicely with Linea Paolo Pia Pump. If you're in search of a casual yet absolutely stylish look, rock a red plaid pea coat with black leather skinny jeans. As well as super comfy, these items look incredible together. You could perhaps get a little creative in the shoe department and spruce up your getup with Linea Paolo Pia Pump from Nordstrom.